Viewing 24 of 237 items. 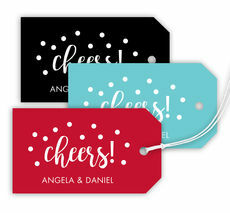 Add your personal touch to your gifts with this set of paper gift tags. Sized 2" x 3.5". Flat printed in ink color as shown with your choice of typestyle. 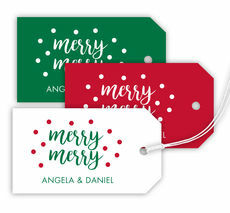 Gift tags come with a full printed..
Add your personal touch to your Holiday gifts with this set of paper gift tags complete with fully designed back. Sized 2" x 3.5". Flat printed in ink color and typestyle as shown. 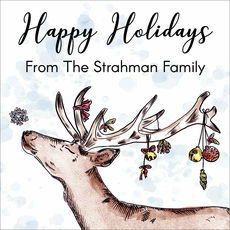 Positioning only as..
Add your personal touch to your holiday gifts with this set of modern and colorful flat enclosure cards. Flat printed in black ink color as shown. Size 2.75" square. Your choice of typestyle to.. Exclusive to The Stationery Studio. A perfect set of gift stickers for all your important holiday gifting. Your choice of glossy stock color. Sized 2" square with rounded corners. 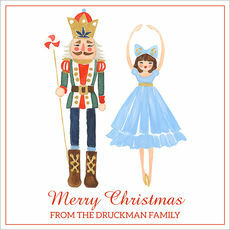 Flat printed in..
Make sure your gift stands out this holiday season with this set of adorable holiday gift stickers featuring the Nutcracker design. Gift stickers are printed on matte stock. Size 2.5" x..
Make sure your gift stands out this holiday season with this set of holiday gift stickers with the cute Reindeer design. Gift stickers are printed on matte stock. Size 2.5" x 2.5". Flat..
Add your personal touch to your holiday gifts with this set of whimsical flat gift enclosure cards complete with a fully designed back. Card size is approximately 3.5" x 2.25". 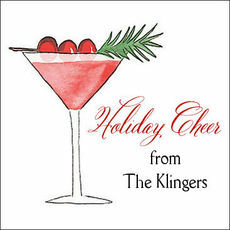 Flat printed..
Add your personal touch to your holiday gifts with this set of foldover gift enclosure cards. Card size is approximately 3.5" x 2.25". 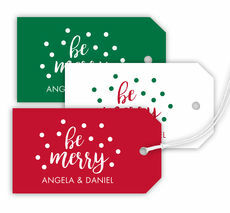 Flat printed in ink color as shown with your choice of..
Make sure your gift stands out this holiday season with this set of holiday gift stickers with the Mistletoe Wreath surrounding your imprint. Gift stickers are printed on matte stock. 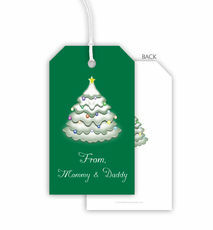 Size 2.5" x..
Add your personal touch to your Holiday gifts with this set of paper gift tags. Sized 3.5" x 2". Your choice of design color. Flat printed in ink color and typestyle as shown. Positioning only as.. 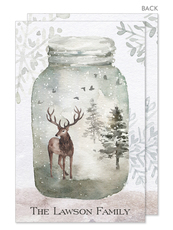 When you are preparing your beautifully wrapped Christmas packages for delivery to their recipients, our Christmas gift stickers are a convenient and easy option to ensure that each item gets to the correct person. Our self-adhesive stickers attach to any type of wrapping paper and are simple to use. You can choose from one of our many fun designs, such as our elegant damask pattern, Christmas tree and holiday designs, snowflakes, wreaths, and more. They all provide a festive look for your finished gifts. We also offer large round gift stickers which come in beautiful designs such as glamorous ornaments, traditional sweets, teddy bears and sentiments of peace on earth. 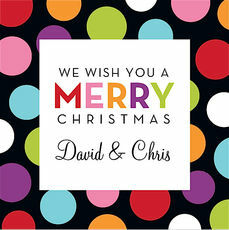 The colorful stickers allow you to include your own message and a name as well as the year that you are giving the gift. Measuring 4 inches in diameter, these generously sized stickers allow you to select the typeface and ink color for the personalized text. There is a selection of rectangular gift stickers and die cut stickers too. 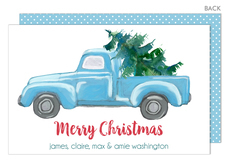 You can customize these stickers with your name, the names of the gift givers, or maybe even from: Santa and you can select from festive designs such as colorful Christmas colors, snowflakes, decorated trees, reindeer and Santa's sleigh. You will love the ease of use, plus they are a great replacement for gift cards on each package. 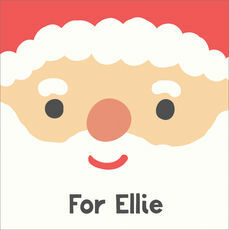 Simple, sweet and easy, the gift stickers for Christmas are a fabulous idea an make your presents picture perfect.